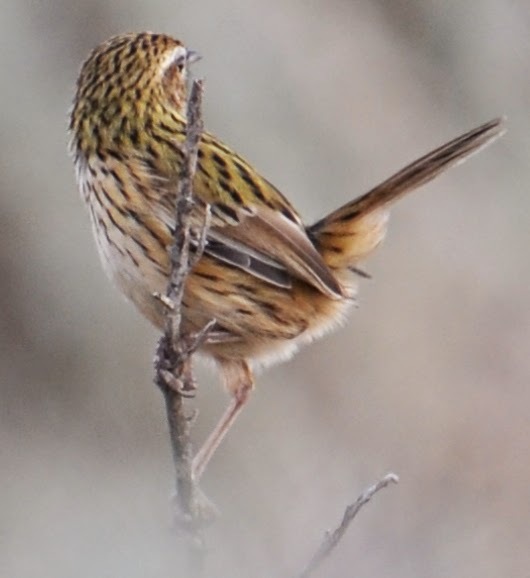 This is a companion to my other Bird of the Day blog, which focuses on birds I have seen in Victoria, Canada. In March 2014, my husband and I traveled to Australia. 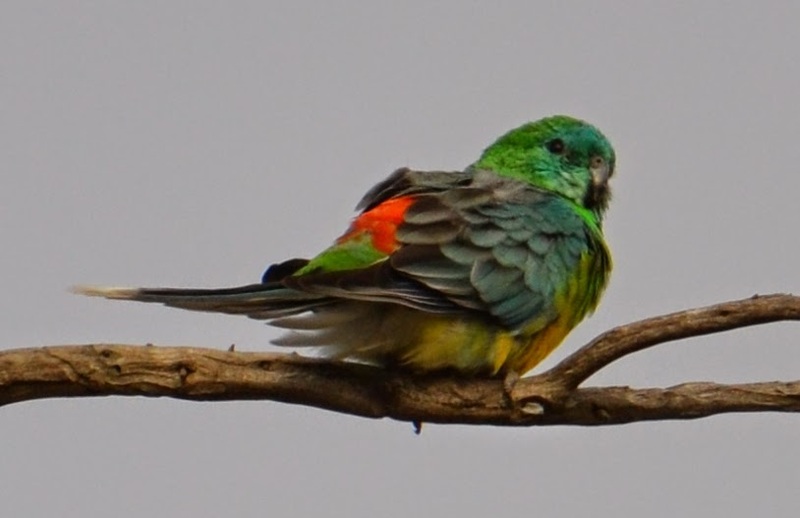 These are the birds I photographed during our time in Melbourne and Tasmania. All of the pictures were taken with my Nikon D3100, which is an entry-level digital SLR camera, and my new AF-S VR 70-300 mm f/4.5-5.G IF ED lens. 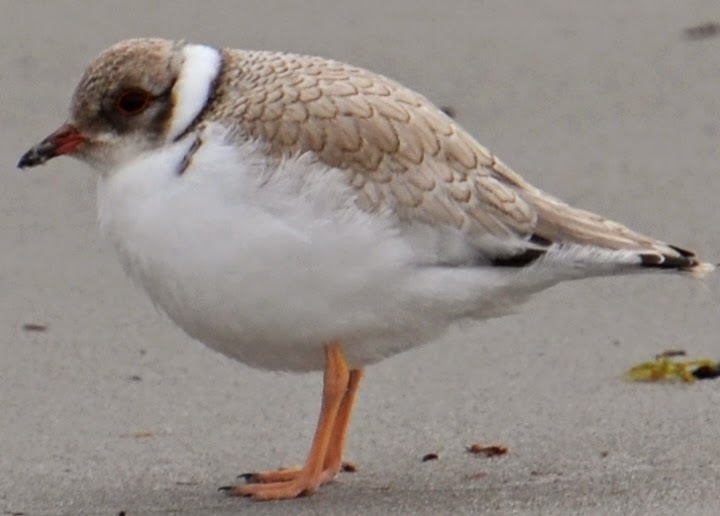 On Maria Island in Tasmania, we saw a small groups of these birds while walking on the beach. They were bobbing and pecking along the shore, keeping just in front of us. Then, as a group, they all flew out to sea and circled around to land on the beach behind us. They must have felt threatened by us, after all they are on the IUCN Red List of Threatened Species. 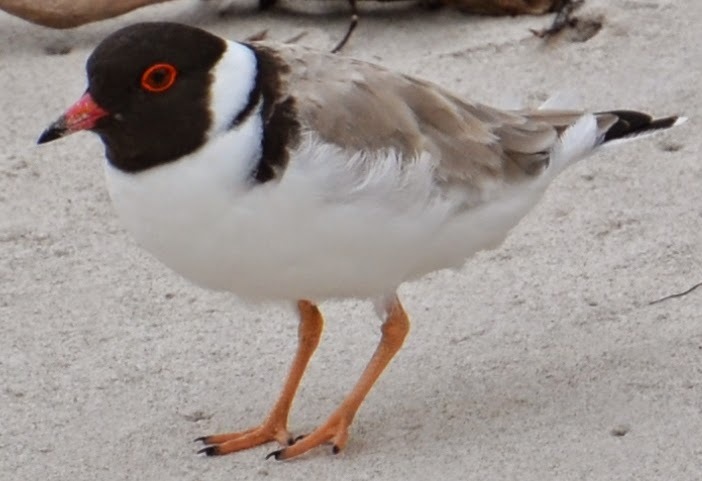 Learn more about the Hooded Plover. 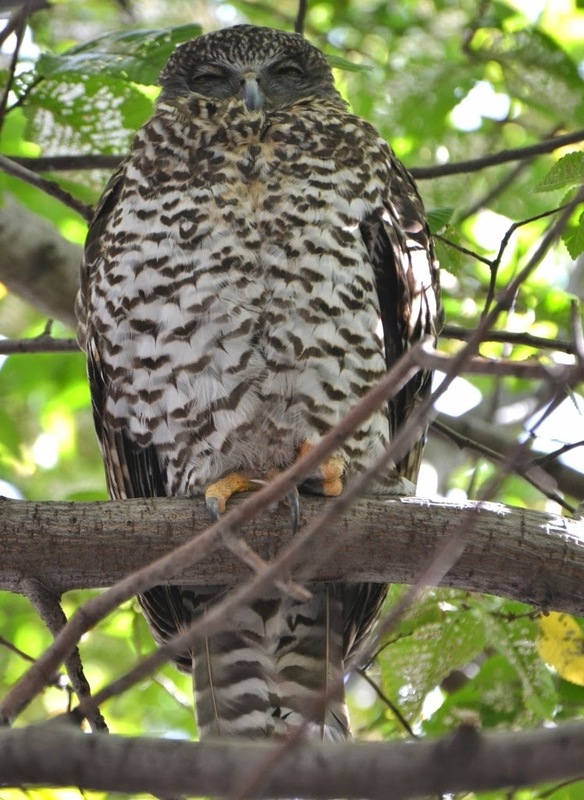 Having been told of a Powerful Owl perched in a tree in Williamstown, we stopped by to have a look. Sure enough, there he was, halfway up a plane tree right next to a row of parked cars. As I was looking for the best position for a photograph, a number of locals stopped to fill me in; apparently, this is a regular hangout for the bird. 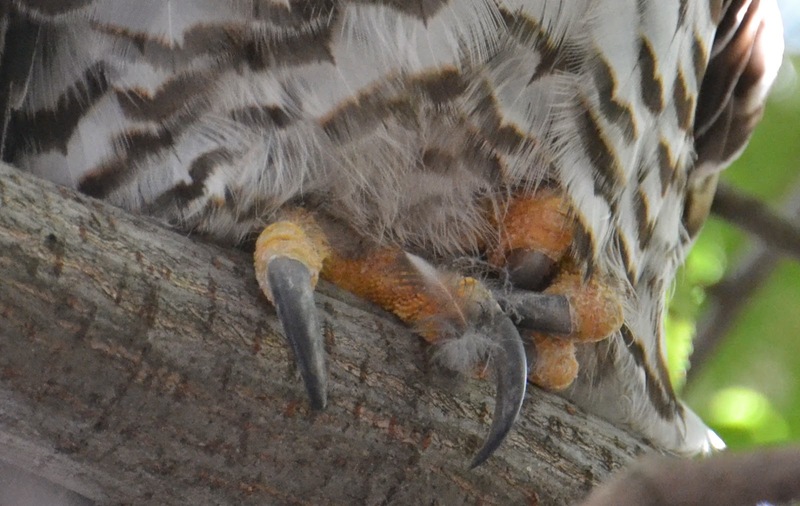 One young man even showed me his photos of the owl .... with a possum in his huge claws. That really wasn't something I wanted to see. Thanks anyway. 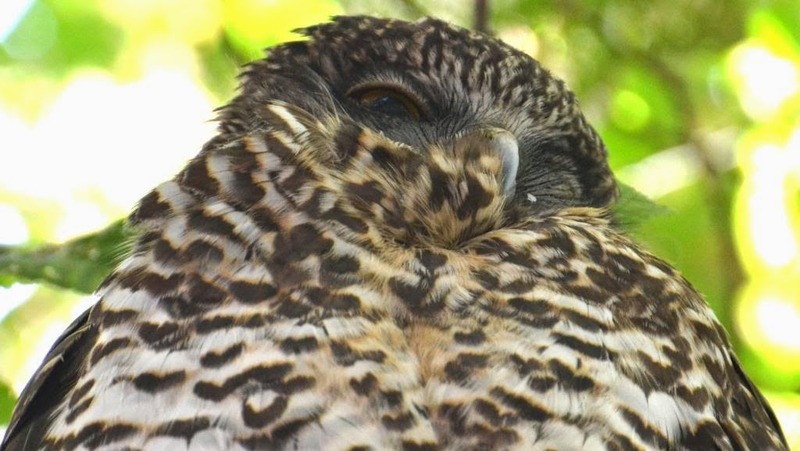 Learn more about the Powerful Owl. 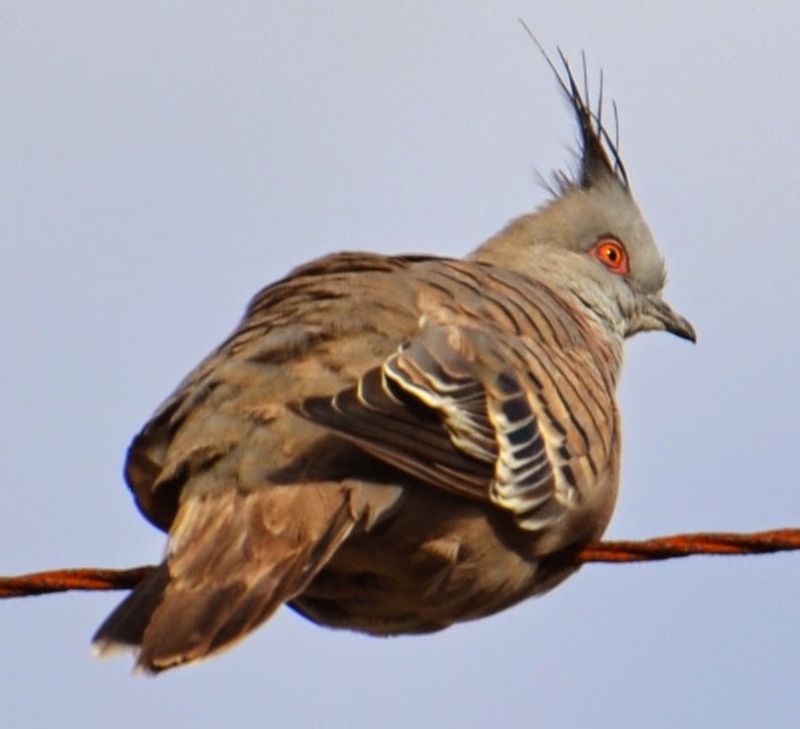 Learn more about the Crested Pigeon. This was another of my sightings at the Water Treatment Plant in Werribee. This colorful bird struck some very nice poses for me while I was photographing him. And they say that cooperative behaviors are rare in the animal kingdom! 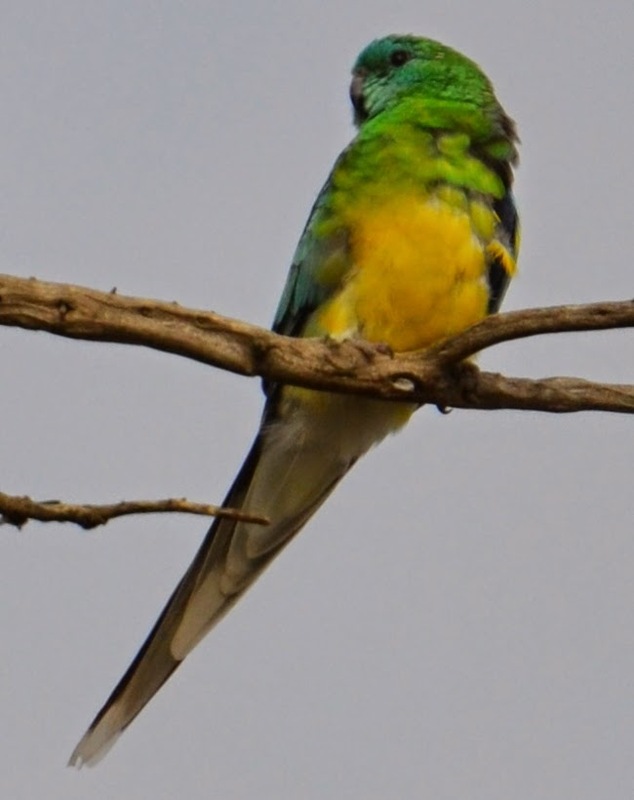 Learn more about the Red-rumped Parrot. When we saw this bird at the Water Treatment Plant in Werribee, the Melbournian with me got quite excited. I assume that means that these birds are little seen. What I have since discovered though is that they are also little studied. I had a heck of a time finding anything about them on-line. 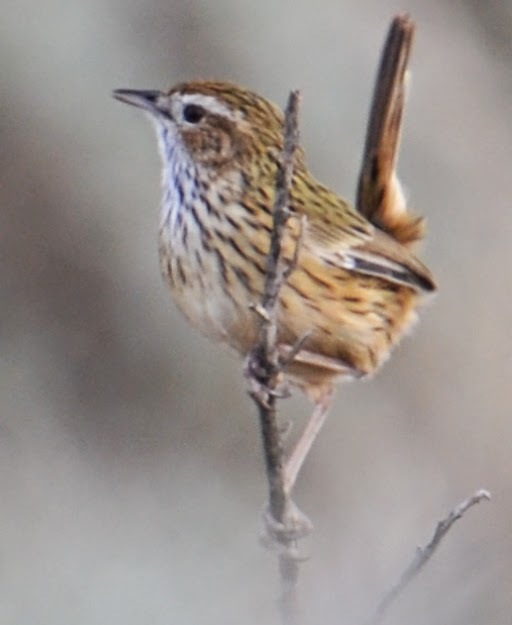 Learn more about the Striated Fieldwren. These pictures were taken at Royal Botanic Gardens in Melbourne. 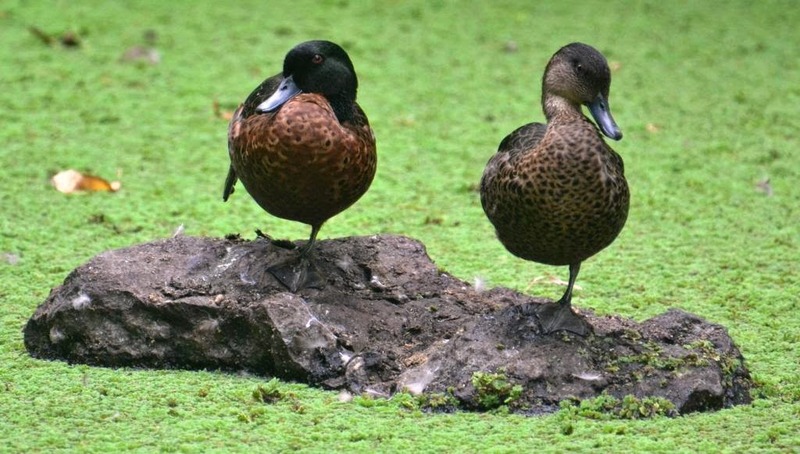 If you're wondering whether all that algae is harmful to the ducks, you're not alone. 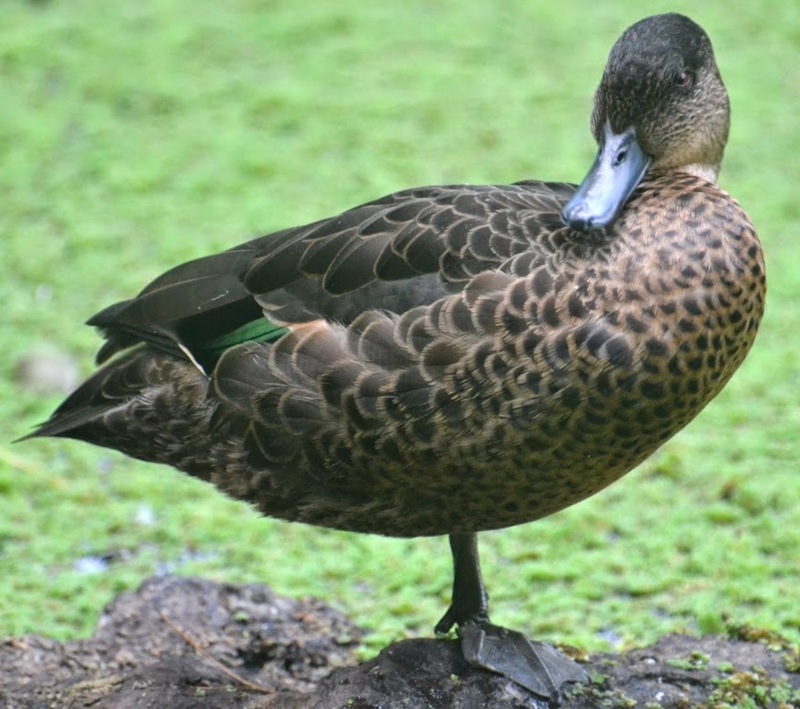 Looking around on the internet, I discovered that although some algae is a must for a healthy pond, other types are not so good. Hopefully, this is one of the good ones. 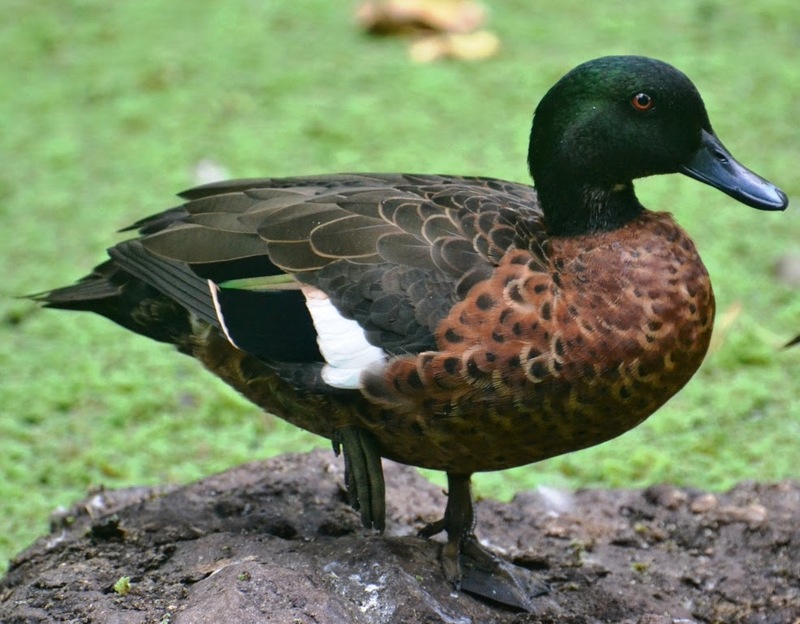 Learn more about the Chestnut Teal. I love the Latin name of this bird. It reminds me of the old Roadrunner and Wile E. Coyote cartoons, where they were given fictitious Latin names like Disappearialis quickius and Apetitius giganticus. 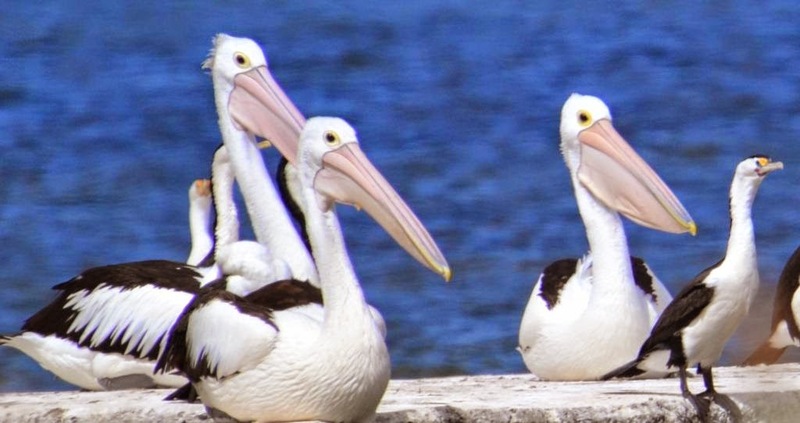 Pelecanus conspicillatus indeed! 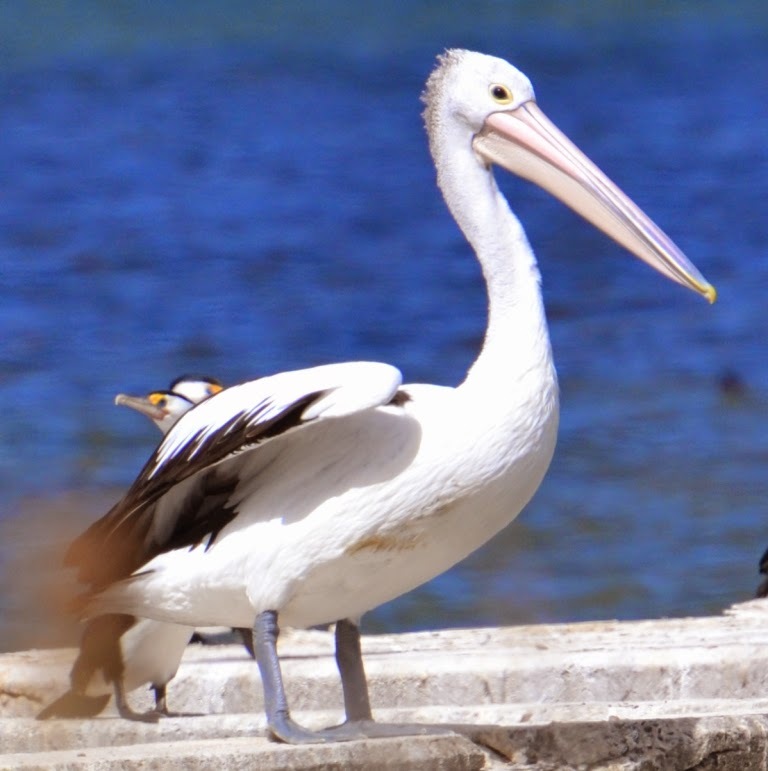 Learn more about the Australian Pelican.